Address of Secretariat: PO Box 6541, TT Post, Maraval, Trinidad and Tobago. Vision of the Organisation: The creation of a Caribbean Private Sector that is internationally competitive and cohesive in its approach to dealing with opportunities and challenges. 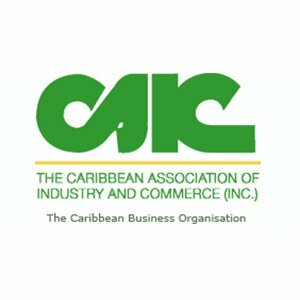 Mission of the Organisation: The Caribbean Association of Industry and Commerce is committed to facilitating the development, growth and competitive positioning of Caribbean Businesses in the changing world economy, by providing products and services that are value-adding to our members and representing their interests in regional, international and hemispheric fora. Key programme areas of the Organisation: The following are the broad strategic goals, which outlines what CAIC will achieve by the year 2019, through seven key strategic areas: Membership Recruitment and Engagement, Research, Communication, Advocacy, Resource Mobilisation, Governance and Promotion, and Protection of Trade.